There is an aspect of real-world string theory in physics that makes the idea of parallel universes, and therefore parallel Earths, plausible to some degree or another. But despite any stuffy science or math proving this or that, the multiverse has been a huge part of comics, and more popularly, Marvel and DC since, well, since forever. There’s a storied history that involve Spider-Men of the 2099 variety, Earth 2, 3, 4, and so on, and all sorts of convoluted similarly new characters, places, things, and events, but more recently it’s been all about Multiversal Incursions, The Multiversity and more, and a new round of the endless boxing match between Marvel and DC. There’s been two very different approaches taken by each of the Big 2 publishers when it comes to their respective multiverses, and over at Marvel things have been mostly handled by Jonathan Hickman, and his duo of Avengers books, New Avengers and Avengers-proper. 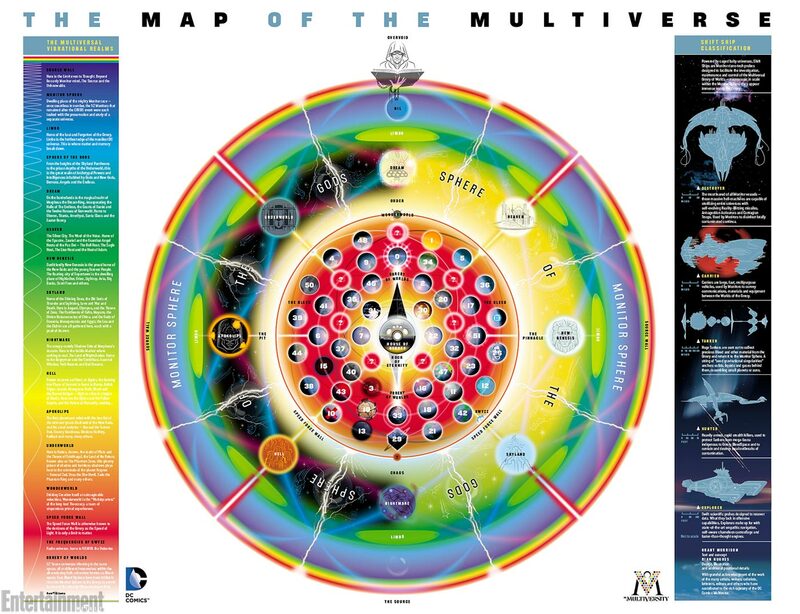 Things get a bit more complex, although quite a bit deeper, over at DC, and while Grant Morrison’s Multiversity series of books is meant to anchor DC’s entire mishmash of Earth’s, Earth 3’s invasion during Forever Evil, and Earth’s 2 ongoing monthly titles and upcoming monthly series gives DC a big leg up on allowing readers to explore more corners of their parallel universes. Up to now, unfortunately, DC hasn’t quite kept up with quality storytelling involving their multiverse. While it’s been really fun to see the Earth 2 characters do their thing in both World’s Finest and Earth 2-proper, these haven’t really focused much on any impact these universes have on each other, which is an integral part of making these other-Earths relevant. The Earth 3 invasion in Forever Evil added some much need importance on the multiverse as a whole, and did so using one of DC’s most interesting, if not most popular, alternate versions of their Earth, but the aftermath of that event has been anything but stellar, and DC is certainly dragging its feet. Multiversity #1 was a great start to something, but DC has some catching up to do. Although Marvel has been dealing with their multiverse in pretty much only two books, the story being told in those titles has become an amazing morality tale of multiversal proportions, and it’s done so without hanging its hat on knockoff copies of wildly popular characters. Although there have been hints in other Marvel titles that suggest problems with the multiverse do in fact exist, and Hickman has debuted characters from alternate Marvel Earths to his overall story, they are by no means the center of the story. The separate universes of the Marvel multiverse are smashing into each other with Earth at the focal point of the destruction, and either one Earth dies, saving both universes and the other Earth in the process, or both universes die. 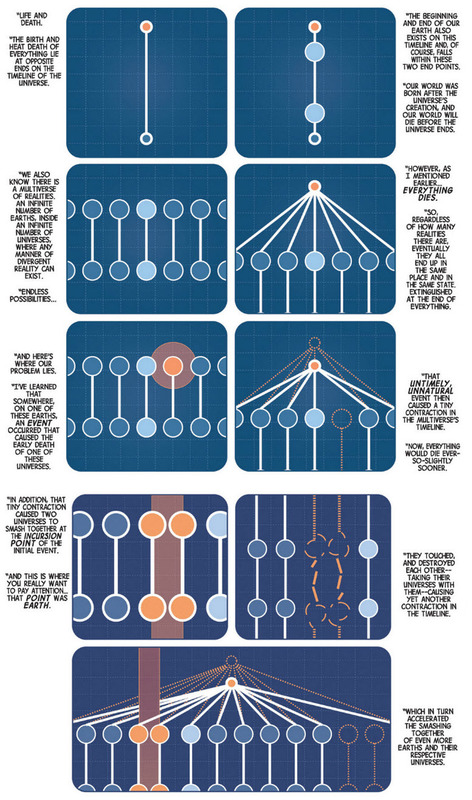 The morality roller-coaster that Hickman has taken readers on has been a much better use of the multiverse idea in storytelling than anything DC has done in recent memory, but can it last? Despite being better up to this point, Marvel’s future in the context of the multiverse has already been, somewhat, established, although it’s still a big secret. The upcoming Time Runs Out Avengers event will surely have a major impact on current story-lines, including the Multiversal Incursions one currently taking place. But beyond that, we really have no other information. Hickman has come out and said that his massive, decade-spanning story arc for the Avengers that began in Infinity, will take these characters to places they have never been before, and there’s still a lot of mileage left in that promise. Additionally, the rumored Marvel reboot coming after this Avengers-event takes imaginations in all new directions, and not all of them are good. Not knowing is almost as bad as knowing, but the lack of an all-around investment in the multiverse does not bode well for its future use at Marvel, at least as a primary story focus. Not so over at DC. DC has always put a lot of investment stock into their multiverse, and it’s paid off for them. They have a winner with Multiversity, their weekly strategy seems to be paying off, and the Earth 2 weekly that’s on the way, coupled with the large part Earth 2’s characters are playing in Futures End shows an ongoing dedication by the publisher to the whole idea of their multiverse. There may not be an immediate payoff every month or two when it comes to DC’s multiverse-centric titles, but there’s so damned many of them that it’s impossible not to find a worthy moment almost weekly. DC is going to continue to give readers more and more of their 52 universe full multiverse, but it’ll be awhile before we know if quantity can outpace quality. I didn’t mean for this article to be a multiveral summary, or even a review of the DC and Marvel approaches, but it’s turned out to be that, and I’m not quite sure how to score my rankings. There’s the recent past, the present, and the future of these diverse and very different multiverses, so I guess that’s a good place to judge these two distinct approaches. Since Hickman has has his hands on Marvel’s Multiversal Incursion story, there’s simply no doubt that Marvel has won the past. Despite having multiple monthlies, a huge event, and a partial weekly, DC has not been able to tell a story that’s even close to the quality of Hickman’s epic morality tale. Presently, Marvel has it again, but just barely over their competition. Events in latest issues of Avengers and New Avengers have a lot of solid potential, and while DC’s current state-of-affairs with their Multiverse have recently moved up more than a few pegs with Multiversity, Marvel edges DC out. But the future belongs totally to DC, and the potential for the future at DC’s multiverse is nothing short of amazing. Marvel’s future isn’t too shabby either, but with DC throwing so much at so many titles involving the multiverse, it’s hard to discount them despite past shortcomings.